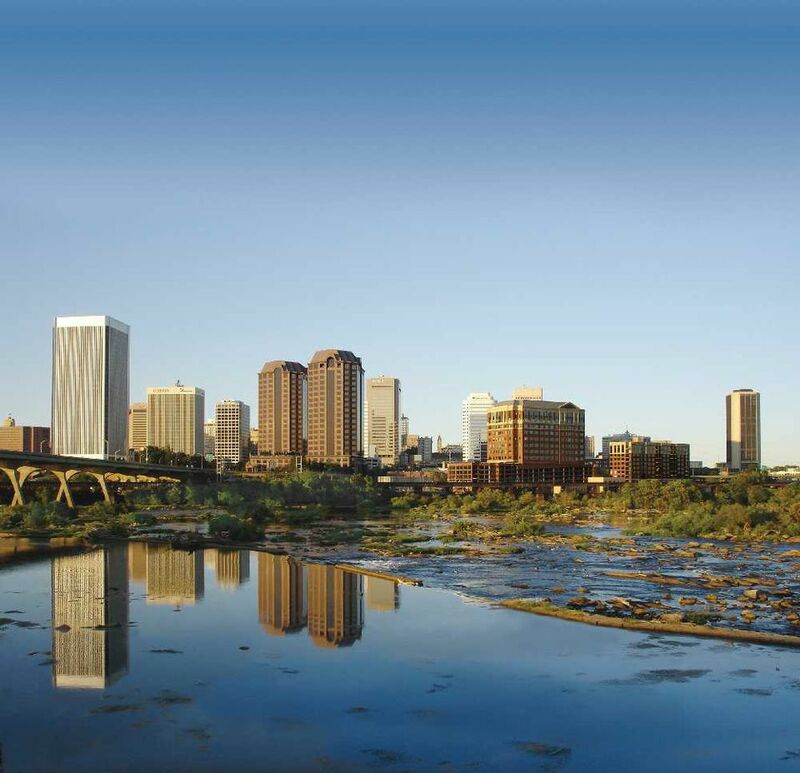 What Do You Know About Richmond Virginia? Richmond, the capital of the Commonwealth of Virginia, is a vibrant city with 400 years of history and a wide range of attractions offering a fun and affordable weekend getaway destination. The Richmond region has something for everyone with plenty of upscale shopping, fabulous restaurants, world-renowned museums, elegant homes and gardens, and family-friendly attractions. Richmond is located right off of I-95 and is about a two-hour drive from the Washington DC area. Amtrak just recently expanded its service to Richmond and provides an easy train ride from Union Station. Following is a guide to help you plan a getaway to the historic region. The historic region has dozens of attractions to appeal to a wide range of interests. Here are the highlights of some of the most popular places to visit. Virginia State Capitol: Bank and 10th Streets, Richmond, Virginia. The Capitol Building is home to the oldest legislative body in the U.S. and the seat of government for the Commonwealth of Virginia. The building was recently restored and expanded. New visitor amenities include a gift shop, cafe and exhibit gallery. Free one-hour guided tours are offered daily. The American Civil War Center at Historic Tredegar: 500 Tredegar Street, Richmond, Virginia. The museum is the first of its kind to interpret the war through three interwoven perspectives: Union, Confederate and African American. Located on 8 acres on the historic James River in downtown Richmond, the site contains five buildings illustrating the Iron Works era. The National Park Service operates the Richmond National Battlefield Park Visitor Center located in the restored building next door. Maymont: 2201 Shields Lake Drive, Richmond, Virginia. The 100-acre Victorian country estate was donated to the city of Richmond by Major & Mrs. James H. Dooley. The Maymont Mansion, a restored 33-room house museum representing the luxurious lifestyle of the Gilded Age, is open for tours year-round. Maymont Children’s Farm and Children’s Farm Barn features rare breeds of domesticated farm animals while the Maymont Wildlife Exhibits provide outdoor habitats for native Virginia wildlife including black bear, bison, fox, bobcat, birds of prey, White-tail and sika deer. Nature & Visitor Center features James River exhibits, interactive galleries, 20-foot waterfall, fish, turtles, owls, river otters and more. Also on site are an Italian and Japanese Garden, a Carriage Collection; an Arboretum and a Café. Lewis Ginter Botanical Garden: 1800 Lakeside Avenue Richmond, Virginia. The popular attraction features more than 50 acres and a dozen themed garden including a Healing Garden, Sunken Garden, Asian Valley, Rose Garden, a wetland garden, a Victorian garden, and a Children’s Garden. There’s also a Conservatory with indoor displays, a Garden Shop, Garden Cafe, an Education and Library Complex, meeting space and exhibits. The Robins Tea House restaurant serves lunch daily and overlooks the lake and gardens. Virginia Museum of Fine Arts: 200 N. Boulevard Richmond, Virginia. The museum features a permanent collection that includes more than 22,000 works of art, including the largest public collection of Fabergé outside Russia and one of the nation’s finest collections of American art. The museum is also home to acclaimed collections of English Silver and Impressionist, Post-Impressionist, British Sporting and Contemporary art, and renowned South Asian, Himalayan and African art. General admission is free, although some special exhibitions require an admission fee. In May 2010, Virginia Museum of Fine Arts completed a $150 million expansion. Virginia Historical Society: 428 N. Boulevard, Richmond, Virginia. The Virginia Historical Society tells the story of Virginia's history from prehistory to the present. The 13 exhibition galleries feature the largest display of Virginia artifacts on permanent view. Hollywood Cemetery: 412 S. Cherry St. Richmond, Virginia. Established in 1847, the cemetery is the final resting place of two U.S. presidents (James Monroe and John Tyler), other famous Virginians and thousands of Confederate soldiers. Overlooking the James River, it is a beautiful sight and lovely to stroll through. Edgar Allan Poe Museum: 1914-16 E. Main St. Richmond, Virginia. The museum boasts an extensive collection of Edgar Allan Poe's manuscripts, letters, first editions, memorabilia and personal belongings. The Poe Museum provides a glimpse into early nineteenth century Richmond where Poe lived and worked. The garden is available to rent for weddings and special events. Closed Mondays. Agecroft Hall: 4305 Sulgrave Road, Richmond, Virginia. The manor house was actually built in Lancashire, England in the late 15th century and shipped across the Atlantic and then reassembled in a Richmond neighborhood known as Windsor Farms. The house and gardens are open for tours year-round. Richmond has a wide range of attractions for kids including interactive museums and historic sites, children’s theaters, sports arenas, outdoor education facilities and much more. Here are some suggestions for the best family-friendly destinations in the Richmond Region. Kings Dominion: Doswell, Virginia. The amusement park is a favorite of families and offers a full day of fun with more than 60 rides, seven roller coasters, live entertainment, and a 20-acre water park. Children's Museum of Richmond: 2626 West Broad St. Richmond, Virginia. The museum provides hands-on exhibits for children ages 8 and under. Children can pretend to be teachers, work in a garage, drive an ambulance, climb a tree, create art projects and much more. Metro Richmond Zoo: 8300 Beaver Bridge Road, Richmond, Virginia. The zoo features a variety of animals such as lions, tigers, warthogs, giraffes, and penguins. Segway of Richmond: 301 East Cary Street. Richmond, Virginia. Take a unique city tour and roll along the streets of downtown Richmond. Maymont: 2201 Shields Lake Drive, Richmond, Virginia. The 100-acre Victorian country estate has plenty of fun activities for all ages. Kids especially enjoy the Nature & Visitor Center exhibits including the 20-foot waterfall, fish, turtles, owls, river otters and the Children’s Farm which feature rare breeds of domesticated farm animals. Lewis Ginter Botanical Garden: 1800 Lakeside Avenue Richmond, Virginia. The popular attraction features more than 50 acres and a dozen of themed gardens. The Children’s Garden offers special programs for kids throughout the year. Kids especially like the unique tree house and water and sand play areas. Science Museum of Virginia: 2500 West Broad Street, Richmond Virginia. Kids of all ages enjoy hundreds of unique hands-on exhibits related to aerospace, life sciences, electricity, chemistry, astronomy, sound, computers, and more. The Science Museum is also home to Virginia’s largest movie screen featuring IMAX films and multimedia shows. There's so much to see and do when visiting the Richmond area that you can't experience it all in one trip. Here are some suggestions to help you plan your getaway. Allow enough time to visit each attraction. Take a stroll along the Canal Walk and enjoy views of the James River. Drive along Monument Avenue and check out the historic monuments. Enjoy a wide range of gourmet restaurants. The region has more than 900 restaurants that serve a wide range of cuisine from classic Southern cuisine to international and pub-style fare. Trendy neighborhoods that have a good choice of restaurants include Shockoe Slip, Shockoe Bottom, and Carytown. Check the event calendar and attend one of the city’s festivals or seasonal events. Richmond has a variety of places to stay, ranging from large hotels to cozy bed and breakfasts. For more getaway planning information, visit the website for the Richmond Metropolitan Convention & Visitors Bureau.